Below you can view all the homes for sale in the Westbrooke At Geist McCordsville subdivision located in McCordsville Indiana. Listings in Westbrooke At Geist McCordsville are updated daily from data we receive from the Indianapolis multiple listing service. To learn more about any of these homes or to receive custom notifications when a new property is listed for sale in Westbrooke At Geist McCordsville, give us a call at 317-987-2530. Photos shown may be an artist rendering, model home, or of the same model. MLS#21633714. CENTURY 21 Scheetz. 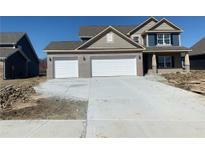 New Construction complete in April 2019 MLS#21632005. Ridgeline Realty, LLC. Photos shown may be an artist rendering, model home, or of the same model. MLS#21630809. CENTURY 21 Scheetz. Photos shown may be an artist rendering, model home, or of the same model. MLS#21630822. CENTURY 21 Scheetz. Photos shown may be an artist rendering, model home, or of the same model. MLS#21630829. CENTURY 21 Scheetz. Photos shown may be an artist rendering, model home, or of the same model. MLS#21630814. CENTURY 21 Scheetz. Photos shown may be an artist rendering, model home, or of the same model. MLS#21630819. CENTURY 21 Scheetz. Photos shown may be an artist rendering, model home, or of the same model. MLS#21630827. CENTURY 21 Scheetz. Photos shown may be an artist rendering, model home, or of the same model. MLS#21630771. CENTURY 21 Scheetz. Photos shown may be an artist rendering, model home, or of the same model. MLS#21630788. CENTURY 21 Scheetz. Photos shown may be an artist rendering, model home, or of the same model. MLS#21630773. CENTURY 21 Scheetz. Photos shown may be an artist rendering, model home, or of the same model. MLS#21630796. CENTURY 21 Scheetz. This amazing house sits on a great lot that is fully fenced in. Make it yours today! MLS#21629904. Keller Williams Indy Metro NE. Wonderful patio for outdoor entertaining and lush green lawn. A must see! MLS#21629287. CENTURY 21 Scheetz. Garage is oversized and can likely fit more than 3 cars. MLS#21628789. Keller Williams Indy Metro NE. Not to mention you are just a 5 minute drive to delicious restaurants and Scarlet Lane Brewery. MLS#21627987. F.C. Tucker Company. Brand new roof being installed as soon as weather allows. Come visit today! MLS#21627320. Berkshire Hathaway Home. 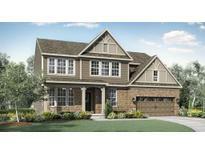 Close to Geist, shopping, and dining. MLS#21625580. United Real Estate Indpls. Tudor Elevation 2' Extension to Rear of Home 3 Car Garage with Insulated Garage Door 2' Front Garage Extension Upgraded Kitchen with Included Black Stainless Steel Appliances: Gas Range, Microwave, Dishwasher & Refrigerator Upgraded Master Bathroom with Pullman Height Vanity and a Tiled Master Shower Water Softener Bypass Rough-In Extended Closet Under the Stairs MLS#21609853. Ridgeline Realty, LLC. Outside Has Perfect Setup-Wrap Around Deck, Fire Pit, 2.5+ Detached Garage & Tons of Additional Parking. MLS#21607410. eXp Realty, LLC. Don't miss out on this hard to find opportunity to build your dream home! MLS#21605833. Carpenter, REALTORS®. Home needs cosmetic repairs/updates & priced accordingly. MLS#21575425. CENTURY 21 Scheetz.